'Whittlesea Community Futures Disability Cluster' is a group of agencies working together with shared commitments and goals. 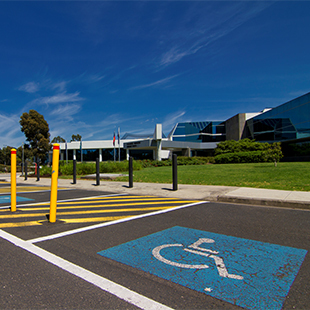 The disability cluster is one of the five clusters of the broader Whittlesea Community Futures (WCF) partnership, with a focus on people with disabilities in the City of Whittlesea. The mandate of the cluster is to work on issues related to disability through advocacy, securing resources, systemic improvements and collaborative planning. The disability cluster has a collaborative relationship with the broader partnership and other cluster of WCF, in which it shares the vision of WCF partnership. The disability cluster of WCF will work in collaboration with other networks operating in Whittlesea with similar or related mandates to minimize duplication. The 'Whittlesea Community Futures Disability Cluster' works on a strategic level to achieve its objectives. The disability cluster acknowledges Whittlesea Disability Network (WDN) and its contribution to the people with disabilities in City of Whittlesea. The disability cluster will work in partnership with the WDN and will support and complement its work from an agency perspective. Further, it recognizes the Disability Action Plan (DAP) developed by the City of Whittlesea as a strategic guiding document for disability sector in City of Whittlesea. A connected and inclusive community that shapes its own future. All member agencies are committed in principle, to work collaboratively on all aspects of the disability spectrum, in consideration and respect to different policies and practices between agencies, for the best outcome of people with disabilities. To provide leadership and guidance to WCF Partnership and other agencies on issues related to people with disabilities. To ensure the voice of people with disabilities / needs of people with disabilities, are embedded in the collaborative works of the cluster. To be a platform for advocacy, collaborative planning, service system development and collective action on issues related to people with disabilities, including but not limited to National Disability Insurance Scheme (NDIS). To promote strategic alliances and prevent duplication. To advocate for resources, both financial and non-financial, to strengthen the service systems of the disability sector in City of Whittlesea and leveraging the use of resources through collaborative approaches. To collate and channel knowledge and information that will influence policy development and advocacy for systemic improvements. The cluster is part of the Whittlesea Community Futures broader Partnership, works in conjunction with it and derives strength from the wider partnership. The cluster lead and on his/her absence a delegate and/or WCFs project officer will update the WCFs broad partnership on the views and developments of the cluster. The WCFs broader partnership will provide its inputs to the cluster for its consideration. The cluster has a collaborative relationship with the broader partnership and aligns itself with the strategic directions and values of the broader WCF partnership. The cluster provides leadership and guidance on issues related to people with disabilities to the WCFs broader partnership. The cluster lead and on his/her absence a delegate and/or the WCF project officer will share and inform the discussions of the broader WCFs partnership to the cluster. The cluster will meet at least in a bi-monthly basis. The meeting venue could be Council venues in Whittlesea, office of member agencies and other collectively agreed venues within City of Whittlesea. However, the date, time and venue of the next disability cluster meetings will be discussed and finalized in the previous meeting and the information will be sent to all the member agencies. Agencies working in the disability sector in City of Whittlesea or in the Northern region or in the State. Agencies working with clients with disabilities. Agencies planning to operate in City of Whittlesea in the future. And any others as cluster deems appropriate. All members in the membership list will receive via email the minutes and agendas for every meeting, and any information passed on by other Network members. Please contact Thiyagerajah Abarajitha (Abi), Whittlesea Community Futures Project Officer of City of Whittlesea for further in formation on Whittlesea Community Futures Partnership and ageing cluster. Creating a connected and inclusive community that shapes its own future.